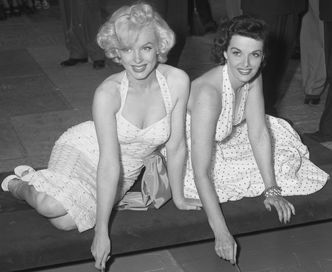 Jane Russell was an advocate for kids even during her iconic film career, mostly for films she came to regret as a devout Christian. After experiencing difficulty adopting her three children, Jane Russell began a mission which resulted in the adoptive placement of nearly 40,000 children through her organization, WAIF. Working on behalf of the 300,000 American children living in foster care and institutions, WAIF operates national advocacy, and public and professional education programs. Locally, WAIF sponsors adoption recruitment events for children who are older, handicapped or of a minority race. For over 30 years, Miss Russell turned the extraordinary publicity of her acting career to focus on the plight of homeless children. Miss Russell championed the Federal Orphan Adoption Amendment of 1953, which allowed for the first time children of American servicemen born overseas to be placed for adoption in the United States. In ensuing years she fought to allow single parents to adopt, for children to be moved across state lines for adoptive placement, and most recently, the implementation of the Adoption Assistance and Child Welfare Act, which mandates the reform of the adoption and foster care system in all 50 states. 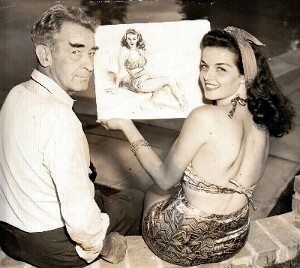 Since 1981, Jane Russell has testified before the US. Congress and met with over 150 Senators and Representatives, as well as with President George Bush advocating for adoption rights. In addition, her appeals have appeared in thousands of newspapers and magazines as she appeared on all TV network news programs and scores of television interview shows all on behalf of children needing loving homes. She leaves behind a living legacy that without her unwavering work and dedication, current adoption practices would not be possible.